A good graphic designer pays attention to small things, and there are few things smaller than stamps. Ivan Chermayeff has been paying attention. For almost fifty years the acclaimed graphic designer has been making collages—and in those collages stamps and mail have played an important role. Envelopes are heads. Stamps are eyes and lips. 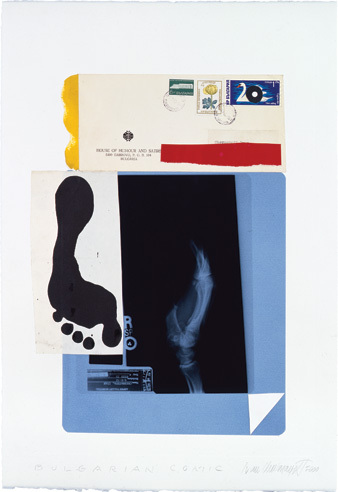 However, one could be forgiven for never having noticed this, as the whole in Chermayeff’s collages is greater than the parts. In Why Stamps? 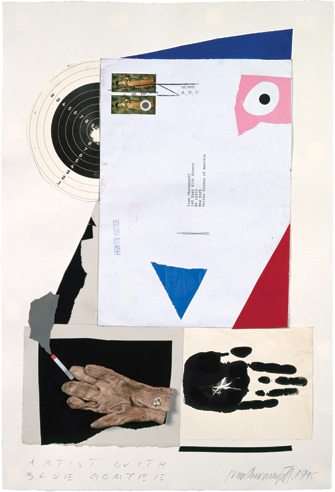 Chermayeff calls attention to the parts with a brief essay on postage stamps and a selection of fourteen collages which use stamps and mail to the best possible effect. 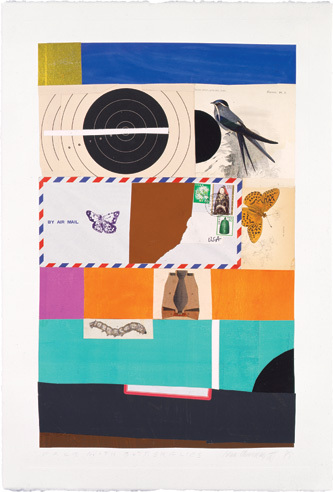 Also shown are two of Chermayeff’s smallest cut-paper collages: Stamps for the USPS and Royal Mail. 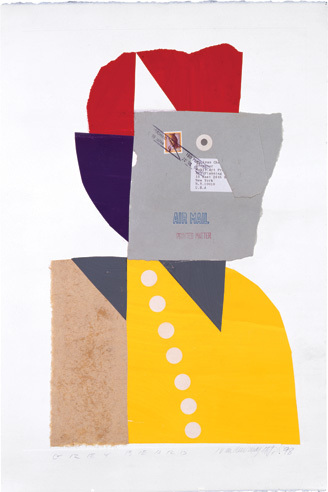 About Ivan Chermayeff. A prolific designer, illustrator, and artist, Ivan Chermayeff has created memorable and iconic images for hundreds of clients. He is a founding partner of Chermayeff & Geismar & Haviv, a leading graphic design firm in the fields of corporate identity, brand development, and logo design that has produced logos for NBC, PBS, Mobil, and the Museum of Modern Art. Chermayeff’s trademarks, posters, publications, and art installations for contemporary buildings are widely recognized and have received nearly every award bestowed by the profession, including medals from the American Institute of Graphic Arts and the Society of Illustrators. He received the Yale Arts Medal, the President’s Fellow Award from the Rhode Island School of Design, and the Industrial Art Medal from the American Institute of Architects. A past president of the AIGA and elected to the Art Directors Club Hall of Fame, he also served for two decades as a trustee of the Museum of Modern Art. The Regular Edition. 8 × 9 inches. 12 pages. Full-color illustrations. Alas, this edition is out-of-print. Deluxe Edition. Forty-five copies will be hand-bound by Sarah Creighton each with with two mint stamps designed by Ivan Chermayeff.